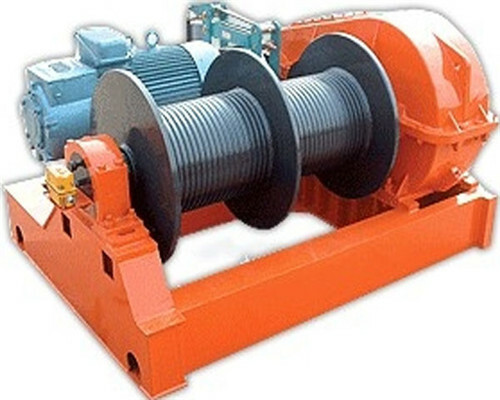 Winch on a boat, also called boat winch, vessel winch, boat hoist winch and winch ship, is an important winch equipment to drag, deploy and retract the cable for a boat. Usually, a stainless steel boat winch mainly refers to the winch or windlass that used in boat, harbor, or offshore. 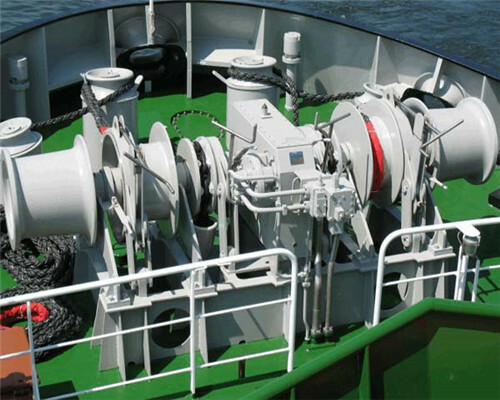 A boat winch plays a significant role on cast anchor, mooring and drag to a vessel. Under normal condition, the sailboat winches are made up of eight core parts, they are drum, cable lifter, anchor chain, wire rope, belt brake, clutch, power system, and control system. 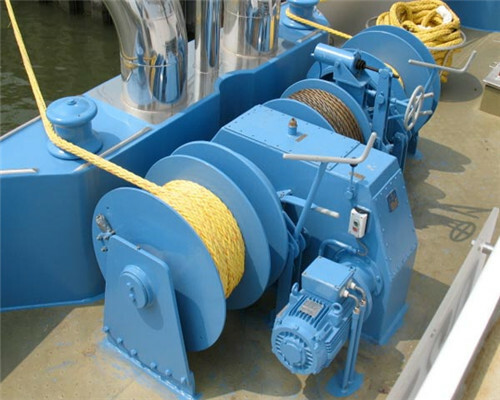 According to the different classifications, Ellsen will offer many types of saillboat winches. For example, from the aspect of motive power, our customers can choose four types includes manual winch, hydraulic winch, electric boat winch, and diesel boat winch. Meanwhile, aimed at the structure of the boat winch, you can select the single drum, double drum or multi-drum boat winch, as well as with the remote control boat winch, ground control or the cable control, according to different lifting capacity, you can also choose the small boat winch and heavy duty boat winch. Besides these basic and standard sailboat winches, with around one century’s rich experience and hard working, Ellsen is quite confident to design and custom all your certain boat starp winch and power boat winch with high quality, advanced technology but competitive price. The electric winch for boat is mainly designed for the working environments that need heavy work and bigger pulling force. Generally speaking, all the power boat winches with a load rating below 10 ton can be designed as the electric winch. Meanwhile, there are mainly three types of electric winches for boat, except the single drum electric boat winch, our professional engineers also design the double drum and multi-drum electric boat winch, just to fit for the requirements of lift, drag and rotation on a boat. Usually, the motor on a single drum electric boat winch drive the drum though speed reducer, at the same time, there also has a detent between the motor and input shaft of speed reducer. Aimed at the control way of a sailboat winches, after several times research and optimization, our specialized experts team also provide three methods. They are the wireless remote control, radio remote control and the cabin control. However, the remote control boat winch is highly adaptable and strong practical, they also can be called 2 speed boat winch due to the two kind of speed that fast and slow can be choosed. Compared with small boat winch, the heavy duty boat winch enjoys bigger lifting capacity and drag force. Usually is from 20 ton at least to 5000 ton at last. Though with a litter big budget, a heavy duty boat winch is safe and faster, not only maximum raise workers working efficiency, but provide so many convenient for the job of a vessel. Not like the heavy duty boat winch, the small boat winch is also can be called the portable boat winch, mobile boat winch, which is flexible and adjustable. Just using the little budget and small space, you will get an amazing small sailboat winches, which not only can be operated simply, but also is easy installation and maintenance, leaving you higher work efficient and bigger productivity. High profile components, there are several excellent parts used in our sailboat winches the wrought Q345B / Q345D steel, imported IP56 marine use motor from German, and ship borne antiseptic paint. High and multi-standard manufacture process. All our winch on boat is produced on the basis of many international standards includes FEM, DIN, and ISO, at the same time; we also pass so many national certifications about the produce of vessel winch. Simple installation. All Ellsen’ winch product, we are responsible to offer professional guidance to assemble and installation knowledge for any our customers, until they get it and assemble the winch machine correctly and smoothly. Easy and free maintenance. Rely on our strong after-sale service and sufficient storage, we are capable to maintenance all the problem happened on their boat winch till the equipment will work normally. 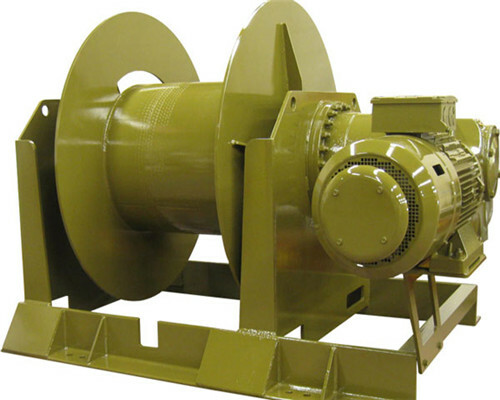 Founded in 1955, Ellsen machinery equipment co.,Ltd company has been one of the biggest supplier and the largest manufacture in winch industry in China. Located in the hometown of winch, we own the most advanced technology and professional experts to assist our customers for designing, manufacturing, installation or maintenance of all kinds of boat winch. 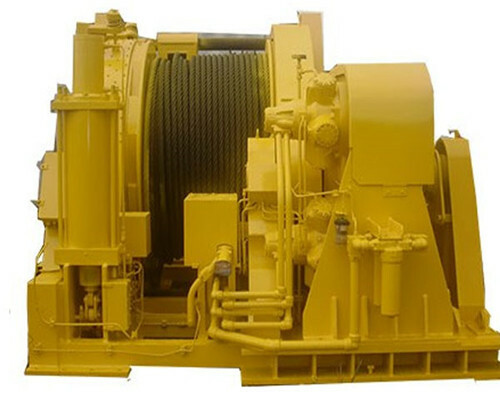 Due to the unique geographical, mainly “one horizontal and one vertical road” that is the Longhai expressway and the national road of Jingguang, we are confident to extend our business in a wide range and find the best and strongest components to produce your perfect vessel winch. During our growing, we always insist on the principle of “seeking truth and being pragmatic”, offer our customer fast and thoughtful delivery and competitive price, being thinking highly among our customers. Wide business, elaborate service and strong brand helps our company getting vast potential for future development. We are waiting for you with enthusiasm to manufacture diversified modes of boat winches to meet all your lift and drag requirements.